Will, Henry and Beanpole reach The White Mountains, only to be captured by the Black Guard once again. Will, Henry and their new companion, Beanpole, continue on their journey by way of an abandon Paris. When a comet blinds nearly everyone in the world, a genetically-engineered species of plant takes over. The strange friendship between a young boy from Earth and an extraterrestrial. A community of survivors struggle to stay alive in the wake of a global pandemic known as the Death that wiped out 99.98% of humanity. Q: (spoilers) What is meant by the final scene in the series? Q: What would have happened had there been a third series? I've only recently seen the whole series, and read the three books, though I remember watching some of the stories when it first aired, close to 20 years ago now. The trouble with the series is that they added far too much filler material - plotlines absent from the books - and instead of making a really good single series, of perhaps 12 hour long episodes, they opted to make one series per book - and then had themselves cancelled before they could televise the rather crucial third book. The first series has some excellent moments, but far too much filler material added, and acting (and/or scripting) is at times very wooden. The special effects are very good, considering budget, and are the saving grace of the whole series. 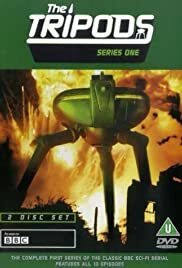 The second series seems to make far too much of the journey to and from the Tripods' city, introduces an irrelevant second tier of power in the city, while eliminating some of the feeling of hardship and brutality imposed on the human slaves, and then the series ends on a sour note, quite unnecessarily, since in the book, there is a happy and surprise ending. There are some huge errors of judgement in the second series. The French language is lost altogether, whereas it is at least partially used in the first set of stories - they are in France after all! And then in the masters city, where we've established that by 2089 that peasant life is a simple affair, with country dancing, and no electricity - we have a blasted 1980's style Disco, with flashing lights, and pop music - good God, what possessed the idiot director to put that scene in there? How are the humans dancing, when the masters installed extra gravity, and wear their subjects into the ground? Overall, I'd recommend reading the books (even as an adult), and forget the TV version. The books are well-written, and have a certain nobility and charm.